I love wrapping gifts! There, I said it…I know some people do not enjoy that task, but I do. 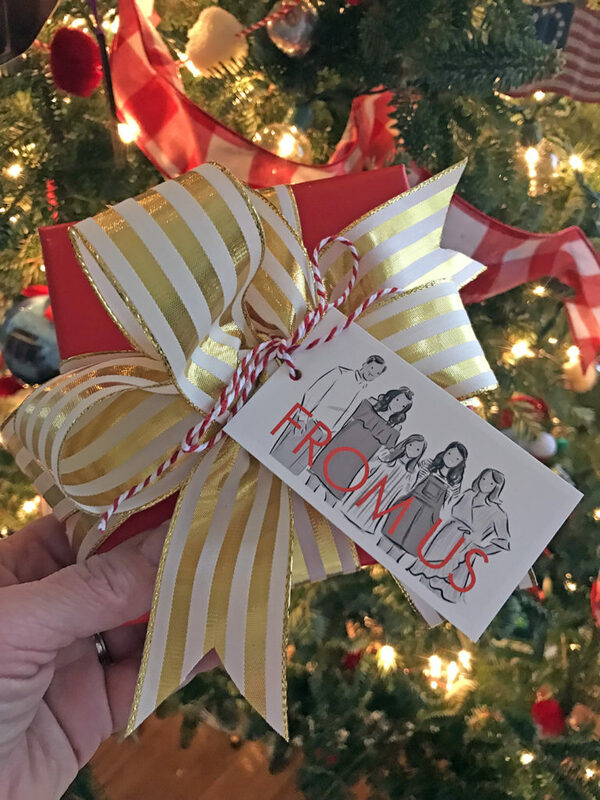 I think it is because one of my mottos is “it’s all about the presentation.” You can take a simple gift card and make it feel special in the way it is wrapped and presented to the recipient. So today I am sharing some of my favorite items that I use when wrapping presents and where to buy them. 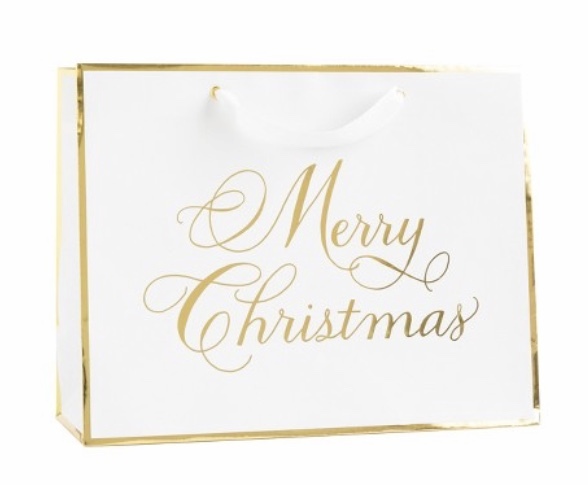 Also from Paper Mart, I like their brown kraft paper and gift bags. 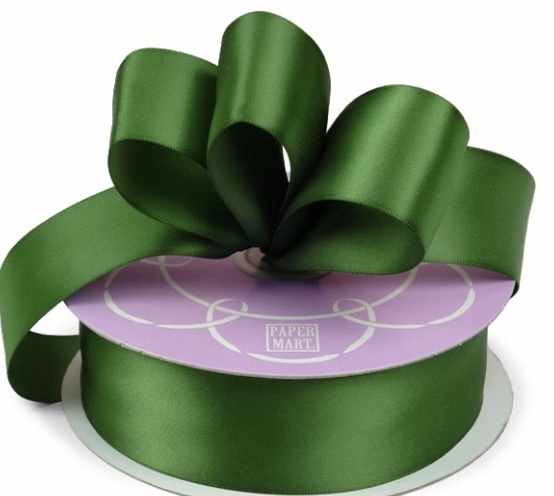 With a neutral wrapping paper, you can add any colorful bow and embellishment. It’s always fun to decorate the brown kraft paper and gift bags with washi tape. 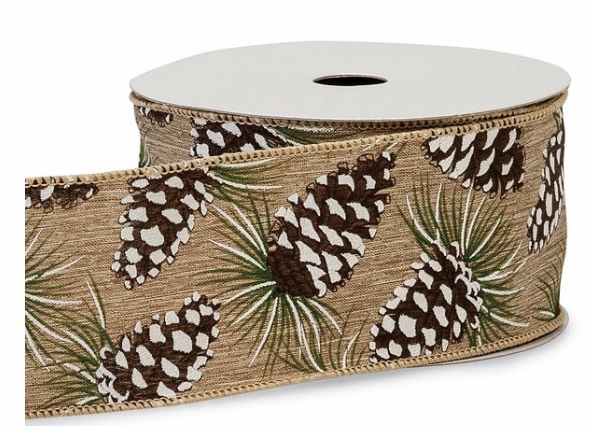 I just saw some fun holiday washi tape in the Target Dollar Spot today. 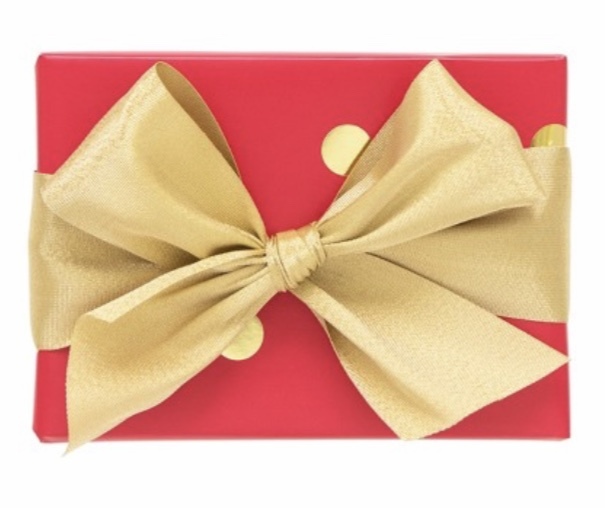 Or keep it simple with some red ribbon. 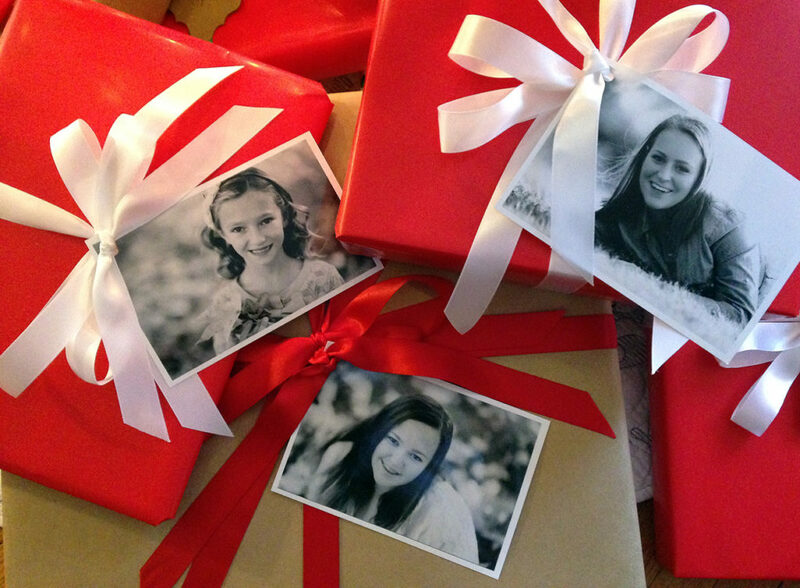 Instead of gift tags one year, I used black and white photos of my girls to label their gifts. 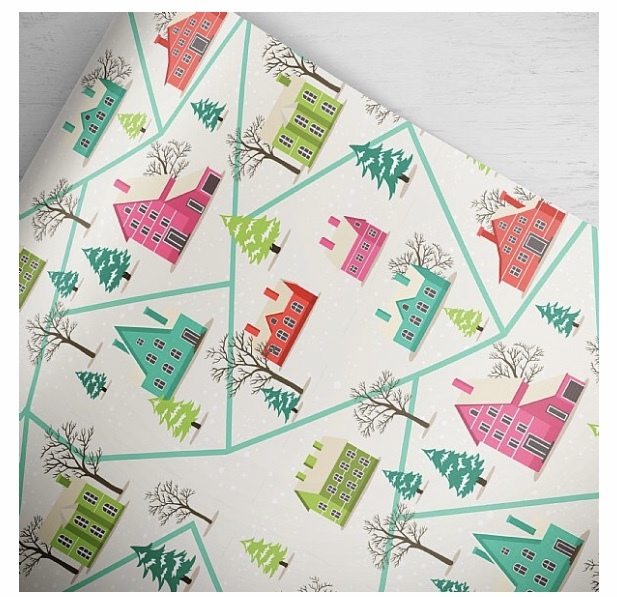 If you prefer patterned wrapping paper, you should definitely check out Loralee Lewis. 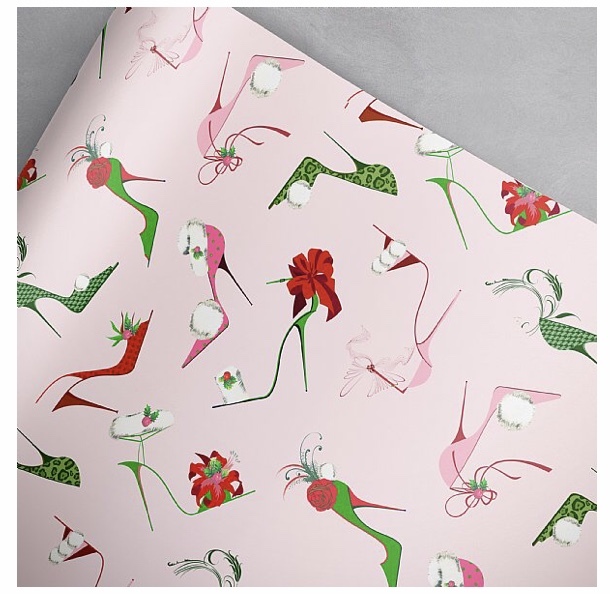 She has such fun designs, like this fancy holiday heel paper or this whimsical pink and teal holiday home paper. 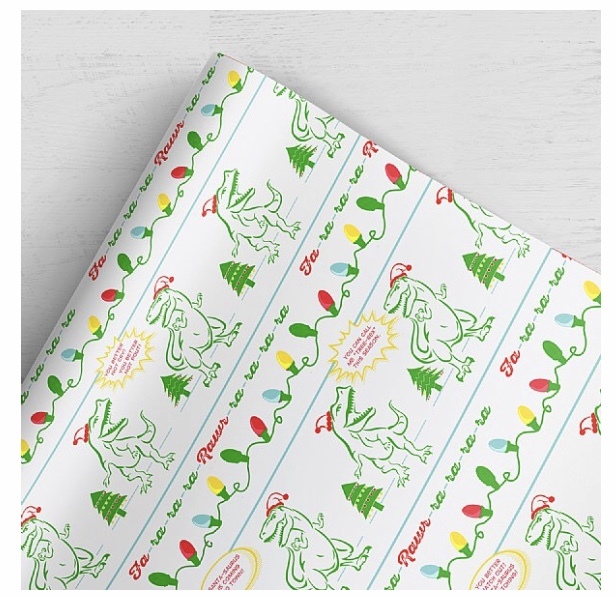 And for the young ones, how about this dino santa paper! 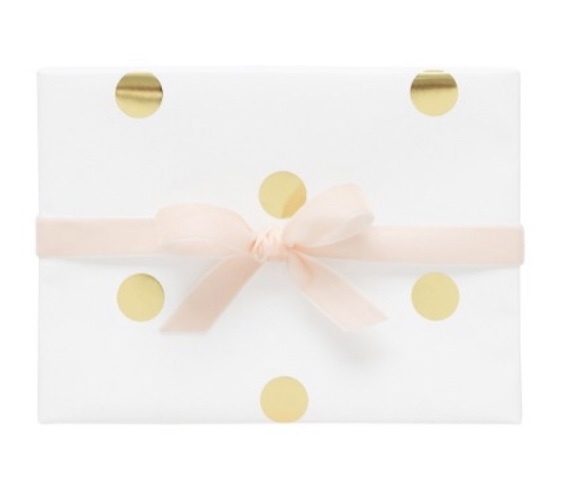 I also love the more classic patterned paper from Sugar Paper. The gold metallic dots and the black santa lettering are my favorites this year. But seriously, you need to check out their entire line. So simple and sophisticated! 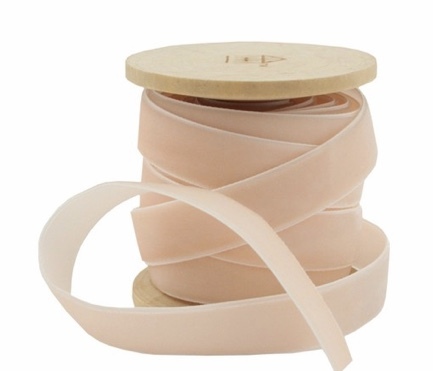 Sugar Paper also carries beautiful ribbon, like this blush velvet. 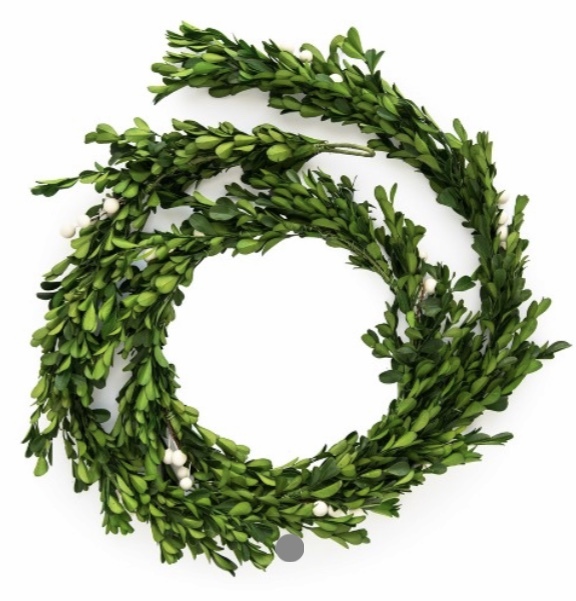 If you’re not going for a big bow look, try tying a small piece of this preserved boxwood garland on your package with some red and white twine. 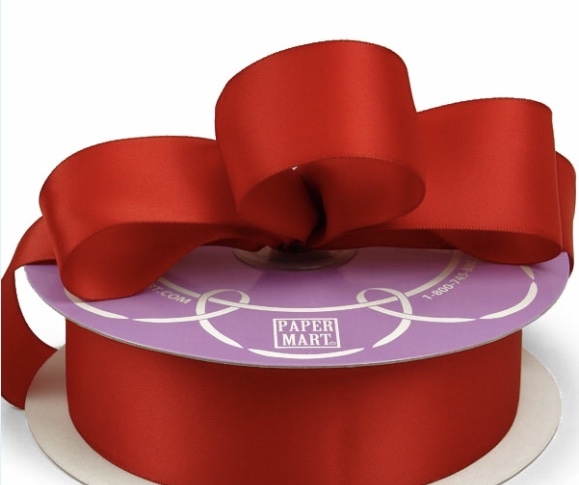 I always stock up on this satin ribbon from Paper Mart…in both red and emerald. 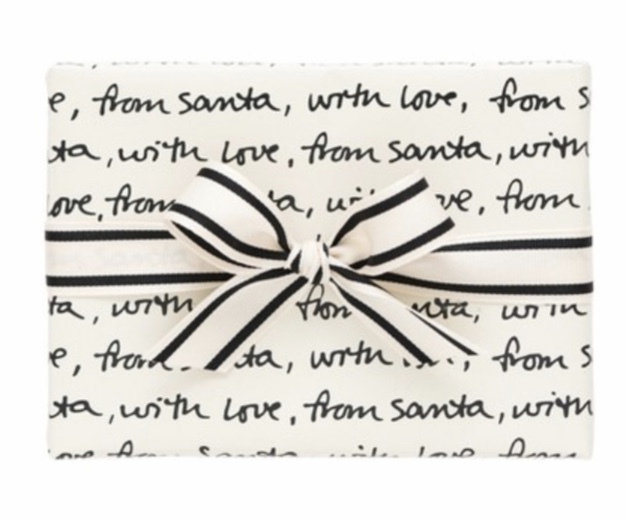 It makes great bows and looks nice when tying up a gift bag of goodies! 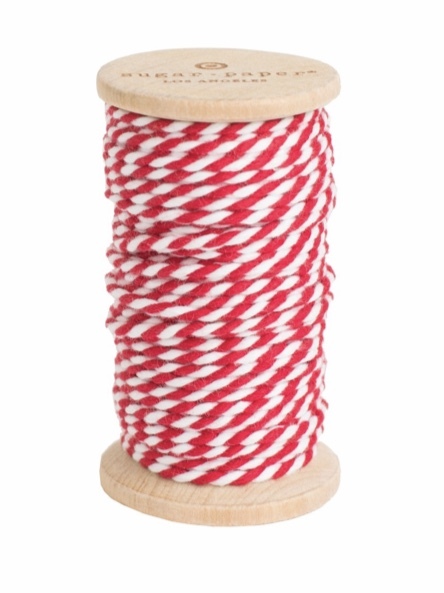 Another favorite place to buy ribbon is Nashville Wraps. 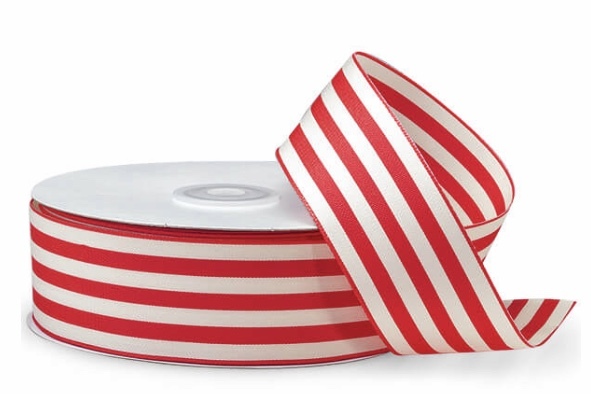 I love their cabana stripes ribbon. A few years ago, I purchased the red striped and used it for almost everything…hanging wreaths in my windows, gifts, tucked into my garland on my mantle, etc. It became my “signature look” that year! That’s what is happening with the buffalo plaid ribbon I used for my staircase…I’m using it for everything this year! 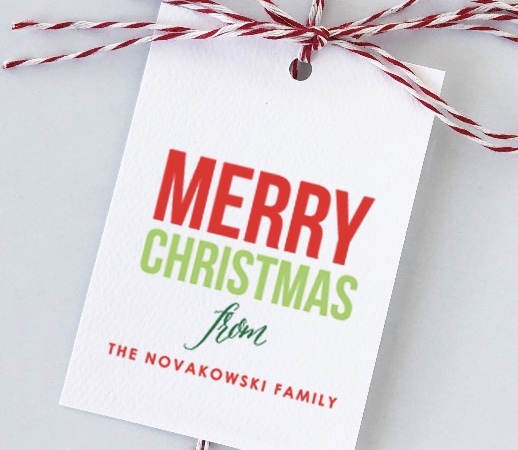 A gift needs a gift tag, right…so we know who the gift is for. Etsy has so many cute designs. I love the look of the ones from Meredith Collie Paper. JOY Creative Shop has some bright and bold designs, as well. I’ve ordered from both shops and had great experiences. 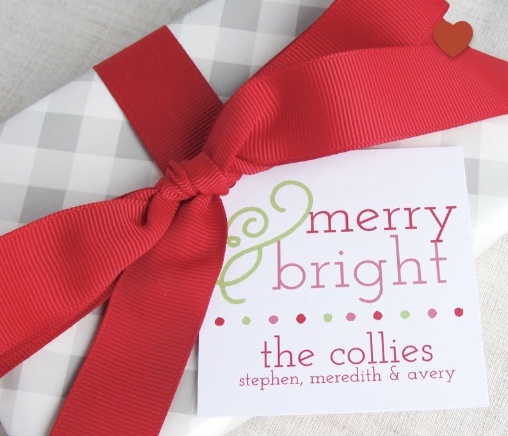 Another favorite of mine is this personalized photo gift tag from Minted. I hope this gets you inspired to wrap your gifts! P.S. 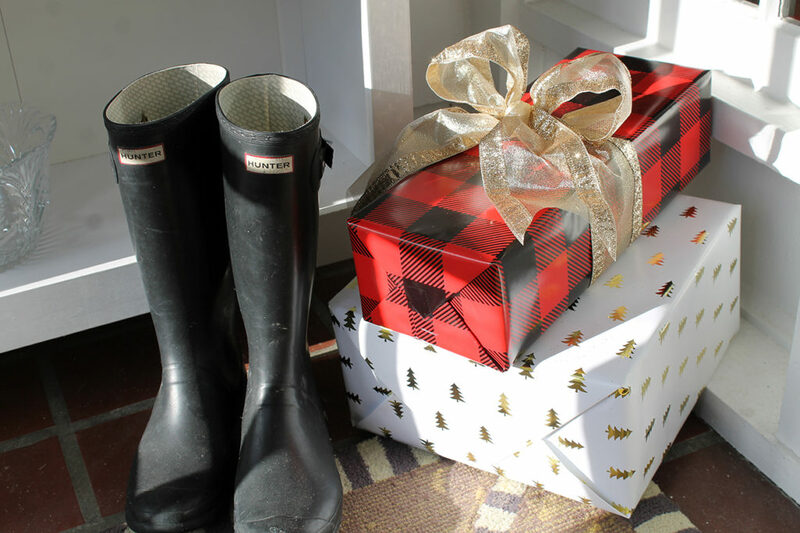 Here is an older post on wrapping holiday gifts, if you’re still looking for ideas.